What makes Petplan one of the Best Pet Insurance providers in Australia? 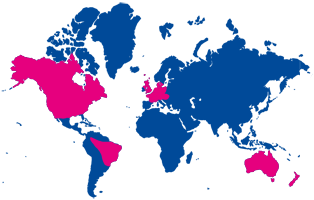 Petplan started in the UK more than 35 years ago and has since expanded throughout Europe, Australasia and the Americas. It is now the largest and most experienced pet insurance provider worldwide. For the past decade, Petplan has been available in Australia and has become the leading pet insurance company for Australian dogs, cats and horses. Petplan AU is solely focused on providing Australian pet insurance policies to our customers. Petplan is the pet insurance specialist; we are committed to helping to keep the nation’s pets healthy, and their owners happy. We understand your passion for your furry friends because all of our staff are pet owners too. Petplan has a range of options to suit your needs and budget. From of 12 month Essential policy right through to our Covered For Life® plans. Each Pet Insurance policy is personally designed for your pet. When you choose to be with Petplan, you are choosing to protect your pet with the industry experts. Our *Covered For Life® policies offer means that if your pet develops a chronic illness or disease, we will provide cover for treatment and medication for the rest of their life. Alternatively you can choose our 12 Month Essential policy which offers a Petplan quality product for a lower price. While this product does not cover your pet’s ongoing and chronic concerns, it does offer peace of mind when you need it most. Petplan policies include liability cover: Third Party Liability cover protects you if your pet causes personal injuries or damage to a third party and you are found legally liable. We have strong relationships with vets, and we are proud to provide you with the option of settling your claims directly with your vet in the event of a claim. We understand that small things can influence your opinion of us; like settling a pet insurance claim quickly and fairly, or being able to pay your vet directly in the event of injury or illness. Whenever you talk to us, whether it is in an emergency or to decide which cover is best for you, you can rely on Petplan to be friendly, helpful and understanding. Contact Us seven days a week via phone and email. As the pet insurance people, we are passionate about animal welfare and the principle of responsible pet ownership. *(Covered For Life® provided the policy is renewed without a gap in cover).